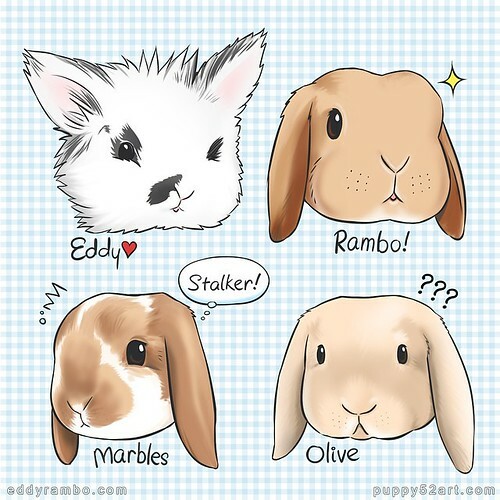 Eddy, Rambo, Marbles and Olive! 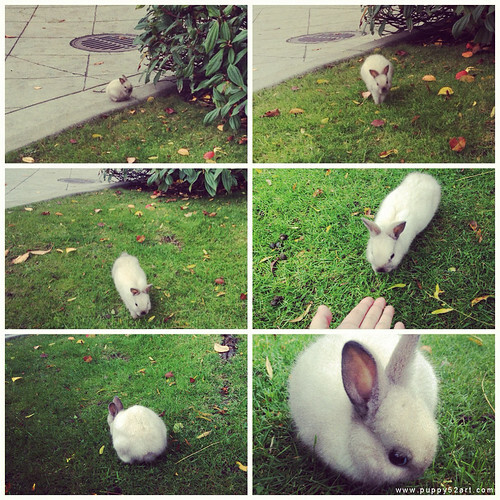 I follow @bunnymama on instagram for a while now and I love her bunnies! 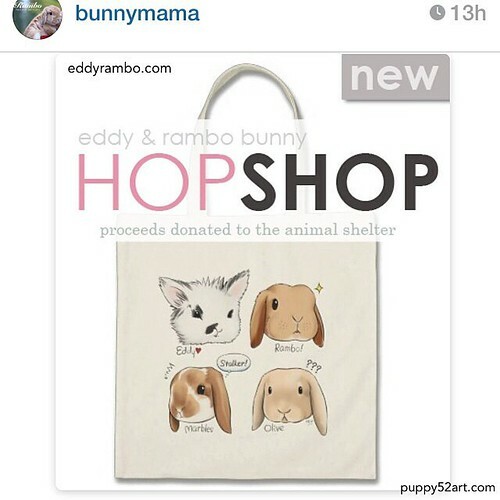 Bunnymama also is an advocate for being a responsible pet owner, adopting from shelters rather than buying a pet from shops. 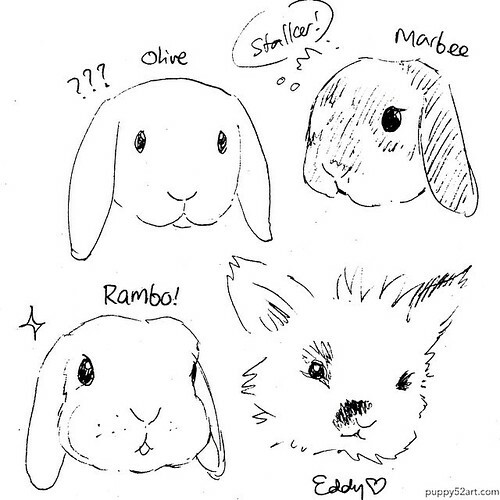 On 19th September, I did a rough sketch and posted on instagram ^^ It was reposted on @eddyrambo and I decided I have to colour it when I have sometime. 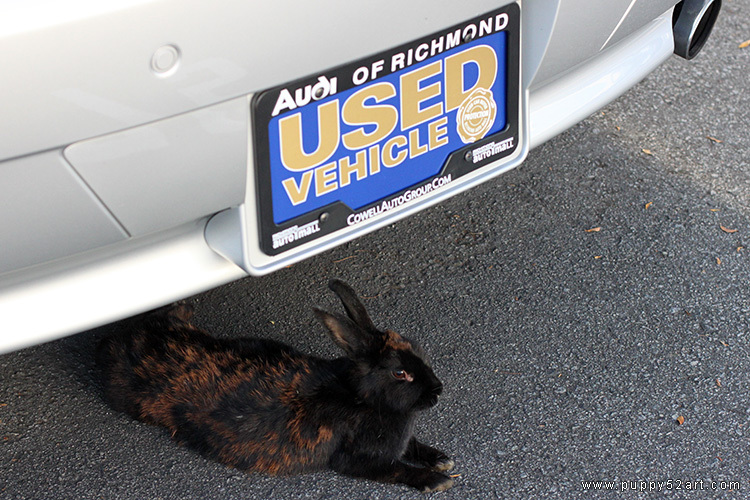 My husband had to go get his car serviced which was why we went back again, it was a cold cloudy afternoon, slightly drizzling and he talked about seeing fist sized bunnies… we saw this one and I had to try to go approach it! Please visit: http://www.rabbit.org / http://www.rabbitats.org for more information. And also if you intend to adopt a rabbit or any other animal as a pet, before you commit, do more research and be a responsible pet owner! 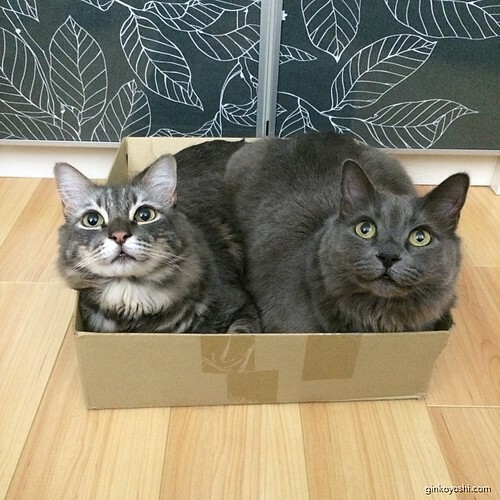 A pet is a life too and often they become family in the long run!